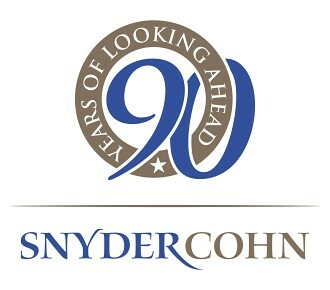 Snyder Cohn was founded on the principles of integrity and trust. These principles continue to be the cornerstone of our firm. We will do what is right, and will speak the truth. We are here to provide creative and innovative solutions — to offer value to our clients and associates. We embrace a collaborative work environment highlighted by teamwork through open communication, continuous learning, and process improvement.